March 5, 1966 is perhaps the least known of many dates of infamy associated with Indira Gandhi. Less than two months into her prime ministership, the 'Iron Lady of India' ordered the only airstrike by India on her own citizens. The target: Aizawl and surrounding villages in (then) Assam's Lushai Hills district. But Delhi denied sanctioning such strikes. Since there was an information blackout, no official records exist of the scale of destruction. India was oblivious to what transpired in present-day Mizoram. In many ways, it still is. In 1959, Lushai Hills' bamboo forests were affected by Mautam or bamboo death, which surfaced when trees would flower every 40-50 years and invariably attract hordes of black rats. Crops and stored grains were destroyed, and lives and livelihoods claimed by a devastating famine. But the Assam government, headed by Bimala Prasad Chaliha, failed to provide relief. Mautam, coupled with growing schisms between the Assamese state and Mizo people, birthed the Mizo National Front (MNF). With its demands for independent statehood, MNF led the Mizo insurgency from 1966-1986. 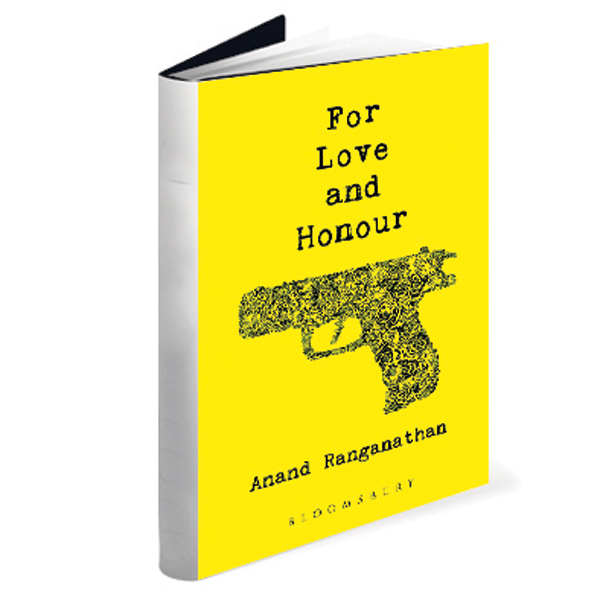 This is the context of For Love and Honour, Anand Ranganathan's second book after The Land of the Wilted Rose. The story kicks off with a gripping counter-insurgency operation in Mizoram's jungles, just moments after India lifts the 1983 cricket World Cup. Captain Akhil Mehra, who loses his right arm, leaves the army a hero and becomes security manager in Carlington's, a lush tea estate in Haflong, Assam. Mehra is eager to start anew. But life on the estate, with owner Rai Bahadur Sen, his caretaker-assistant Chawngthu Norden and daughters Indrani and Ipsita reins him in a conflict of another kind. For Love and Honour is a love story at heart. But – and this is a tiny 'but' – it puts itself at risk with a parallel track. Running adjacent to Captain Mehra's arc is that of his senior, Major Rahul Schimer – by far the most interesting character in the book. The 'danger' – if one can call it that – of parallel arcs, especially with protagonists as contrasting as Mehra and Schimer, is that it's easier to disconnect from the character one doesn't identify with much. In this case, Captain Mehra. From the first chapter itself, his misplaced bravado and the repercussions it reaps makes him unlikeable. It's difficult to empathise with him despite his problems at the tea estate (which end up making Mehra look like even more of a man-child). But in the Carlington estate, Ranganathan has created an atmosphere of disturbing calm so reminiscent of Indian tea plantations. Due to this and the racy plot, there's not a dull moment in the book. The character of note in this storyline is Chawngthu Norden, who, behind his genteel and sometimes-brusque exterior, cocoons tremendous fortitude – and pathos. In his Acknowledgements, Ranganathan gives a hat-tip to Austrian novelist Stefan Zweig. The book, he writes, 'started off as a challenge to transplant Stefan Zweig's Alpine Edith over to the hilly climes of the Northeast'. While Zweig's Beware of Pity may have inspired the love story in For Love and Honour, it's the portrayal of the Mizo insurgency that wrenches at the heart. Through the eyes of Schimer and Norden, one understands why scrawls like 'Indian Army Go Home' were outpourings of immense grief and anger, not unfounded hostility. One rejoices when Schimer tries to right the wrong he committed. Characters like Rualfela Khyangte and little Chiku reflect the magnanimity of the Mizos who lost their families and survived on near-nothing, yet gave themselves something to look forward to. The insurgency ended when Mizoram became India's 23rd state. But India is yet to express regret for the indiscriminate air strikes of 1966, and the subsequent displacement of the Mizo people into monitored settlements. In 2007, former prime minister Manmohan Singh apologised for Operation Bluestar.